Reveal the objective of your idea, OK so you have an idea that you think may well change the world and understandably you are getting all fired up about it, so what do we need to do next? Basically you need to establish if the market shares your feeling about this idea and I stress idea, for at the moment that is all it is but so many inventors both individuals and large corporations sow the seeds of their failure at this starting juncture. Before you spend tons of time and some or lots of money you need to first establish if the idea stands on its own merit, simply as an idea. One can reveal the objective of your idea to potential end users without giving away detailed plans of the design but paint a picture of how you see it working and how it removes a problem or frustration, makes something more efficient or convenient or will revolutionise your industry in some way. It is useful when doing this to set out a questionnaire but try and keep the answers open ended, allow the customer to respond naturally without being led. By the way never rely on family or friends as feedback people at this point as more often than not they will simply tell you what they think you want to hear or at the very least a diluted version of what they really think. Go to the end user rather than intermediaries (i.e distributors etc..) so that you have it from the horses mouth and not second hand. Where possible poll at least 50 -100 people depending on whether you are dealing with a consumer product or something more specialised. Remember when carrying out the research at this stage the objective is simply to compile the information from which you can form the basis of your decision to either proceed further to the next stage or to kill the project off all together. Often the mistaken mindset is to hope that the result of the research is positive so that you can proceed with your dream and this can often be the beginning of your demise. This hoping that the outcome is positive can cause one to skew the questions one is asking and further skew the results in favour of progress when the reality may be that there is not a real demand for your solution or that the demand will be very small and quite possibly unfeasible. The secret here is to be completely objective, the market is effectively trying to help you pursue your product further with good feedback or save you months of time and money with negative feedback. Regardless of whether you are an individual or a small enterprise the mindset can be, that this is the best idea you have ever come up with and you fear you may not be able to come up with another and as such cling desperately to it and are reluctant to let go despite the fact that the market is not responding favorably. Firstly this notion is completely untrue, if you sat down with one or two people you would be amazed at how many ideas a good brain storming session would throw up. Statistically almost 8 out of 10 of all new product developments fail. This in itself is not a problem provided you realise its implications, e.g you may have to come up with 10 ideas before you find one that will actually fly, which is absolutely fine. However the real exercise at this stage of the game is to learn to evaluate and test your ideas very quickly so that you can proceed to the next idea quickly if that is what is required, until you find an idea that gets the green light from your potential market to proceed further to the next stage. There is certainly a time for this exercise but it is not now. The fundamental mistake here is that your job at this stage is not to convince,but simply to listen, listen listen!!! If the product idea/concept cannot stand on its own merit at this stage (i.e without prototypes or fancy packaging etc... to back it up ) well then I would seriously reconsider the whole project and find something that has a resounding yes from the market. Getting this product to market is going to be a challenging enough exercise even when your feedback is positive, therefore do not make life more difficult than it needs to be by convincing yourself that the market wants something that it is saying to you it doesn't. Let me further qualify the above by distinguishing negative feedback form people who know very little about what it is you are trying to do (these people are everywhere,friends, family, colleagues, neighbours etc...). Do not allow yourself to be derailed by people who know absolutely nothing about you product or industry or who have never been involved in such a project. Quite often this negativity is based on envy and fear and should be recognised a such. What I'm talking about here are real independent potential end users of your product who are completely objective and offer good honest feedback on whether they would use your product or not if it were available. I hope that this information has been of some use and if you would like further information on The Product Development Process please stay tuned or opt in for further posts. 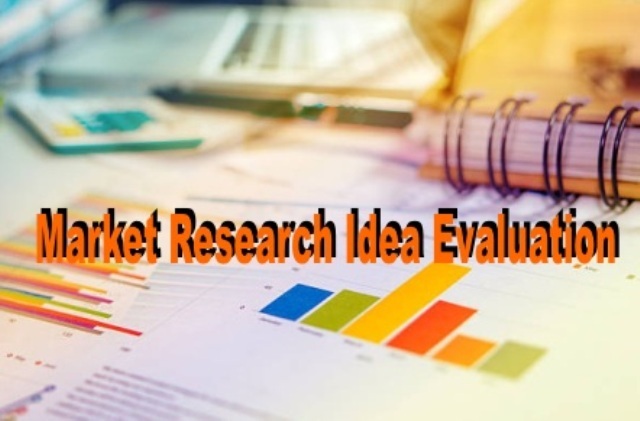 0 Response to "Market Research Idea Evaluation"